Kim Jong-un, North Korea’s Supreme leader, has been in rehab and is finally living up to the English translation of his christian names: justice-and-favour. The World is a different place with a Trump/Kim summit pending. South Korea is a different place, too, which is very good news per se and for Titon Holdings Plc (LON:TON) which generated three-quarters of its net profit here in its latest half year. Result: profit before tax in the half year to 31 March 2018 rose some 15% on a constant currency basis to £1.34m on revenue justice-ed 16% ahead at £14.5m.The dividend was also favoured by 17% to 1.75 pence with cover at 4.1x. South Korea raised its contribution 13% to almost £0.9m and contributed 74% of Titon’s net profit. Metrics: Return on Net Assets in H1 was 18.9% on an adjusted basis with Capital Turn above 2.0 (we like this ‘un’). Liquidity is summit-less, too, with a Quick Ratio of 1.93; while net cash is equivalent to 16% of net assets. Titon is looking forward to further progress in H2 and a performance in line with expectations. Forecasts: we have nudged up our profit and earnings forecasts and the UK can be expected to provide favour-able seasonal demand in H2 and, while domestic GDP is below trend, it should justly grow at 1% to 2% p.a. through 2020. In South Korea, ahead of any peace dividend, GDP is set to grow at 2.9% p.a. Risks: the Korean Peninsula is a dramatically safer place than it was and can build from there. Yes, there is continued Brexit uncertainty at home but Experian is forecasting annual growth in construction of 1.1% in 2018 through 2020 with private housebuilding increasing at 3.0% p.a. Meantime, Titon’s other regions are seed corn for the future. The Group produces both prosaic and truly innovative products which is both a useful combination and affords good reach. 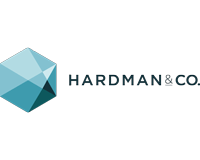 Justice and favour: The unique Hardman UK Building Materials Sector comprises 22 companies with a market value of £8.5bn and our average valuation of 8.7x EV/EBITDA on a trailing 12-month basis. Titon Holdings Plc is in the lower half of the table at 7.7x – despite the third best Total Return to Shareholders of 42% over 12 months; note, too, the Sector TSR average is just 5.3%. Click TON for the full archive.